New article in the UT San Diego by Jeff Sanders highlights the excitement at Audie Murphy Ranch. 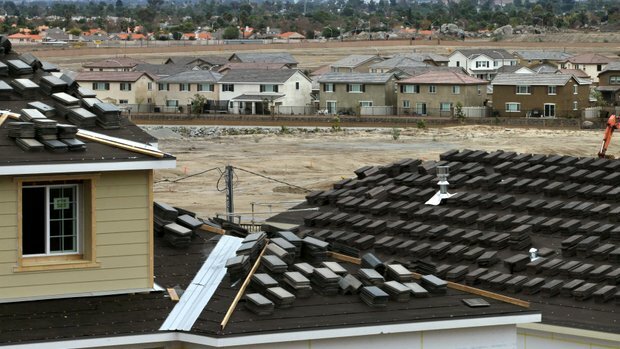 “One by one, Audie Murphy Ranch’s developers are presenting tracts for consideration by the Menifee City Council, breathing life into a beleaguered project slowed by the aftermath of the U.S. subprime mortgage crisis. The council approved two final tract maps at a special meeting last week and developers and builders already are moving forward with several other phases of a master-planned community on the western edge of town that will ultimately feature nearly 2,200 homes, 17 miles of trails, several ball fields and courts, a skate park and swimming pools. That wasn’t the case in the immediate years after 2006, when Audie Murphy’s chief developer, Brookfield Homes, had the project approved by the county. The housing market crashed and development ground to a halt until the economy began to emerge from the recession in 2009, according to Dennis Chapman, a vice president with Brookfield Homes. Now, people have begun to move into a pair of Woodside Homes’ projects on the south side of Newport Road; Brookfield Homes is expected to have model homes ready for viewing in February and Richmond American Homes will have models up and running in March, Chapman said. All told, builders have committed to building about 450 houses in the near future, with the single-family one- and two-story homes ranging in price from the low $200,000s to the low $300,000s. “It’s coming out of the ground beautifully,” said Chapman, who began eyeing the land for development in 1998. 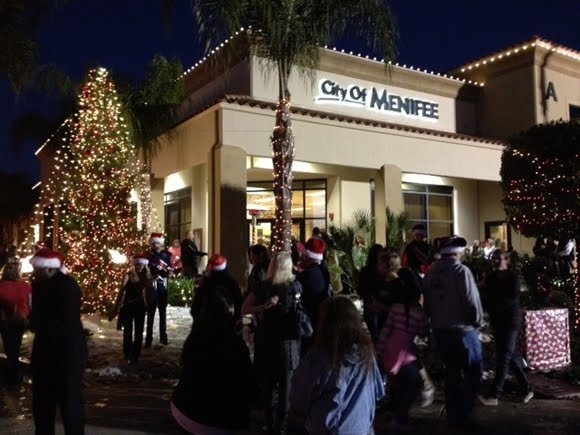 “I’m sure Menifee will be proud of it. We certainly are. The City Council last week approved the latest phases, which included two tracts, totaling 183 homes and 23 open spaces spread over about 89 acres. One tract will have a street named after late Councilman Fred Twyman and another for Sgt. Nigel Kelly, who was killed in action in Afghanistan in 2011. Another tract came with an agreement that the developer would give the city $50,000 to construct an alternate trail in the city because one was not feasible at the location at south of the intersection at Newport and Goetz roads. It’s one of the reasons the council – which approved three other tracts accounting for more than 180 homes in November – is a fan of the master-planned community that Brookfield Homes is developing on land once owned by Audie Murphy, a highly decorated U.S combat soldier in World War II who upped his fame as a movie star in the years after his service. “They have a lot of open space, they are supportive of our trails system, and they are finally putting in a skate park that I’ve always pushed for,” Councilman Tom Fuhrman said. Furhman is especially pleased about the money pledged to building another trail in another part of the city. One vision – which could be a candidate for use of that $50,000 fee, he said – includes a cross country trail connecting Paloma Valley High School to Herk Bouris Elementary School in Lake Elsinore, which would both link to other local trails in a seven-mile course that would allow cross country teams to move off streets and onto a varying terrain footpath. Carmen Cave, the city’s community development director, worked closely with the developers to forge the deal for the $50,000 fee that will be used to pay for the construction of an alternate trail. “Everyone realizes how important regional trails are to this community,” she said in a presentation to the council. Planned over 1,150 acres, Brookfield Homes bought the Audie Murphy Ranch land in 2002 with a specific plan for 2,190 homes, a middle school, an elementary school, three parks with baseball, soccer and softball fields, a preservation area for 120 acres of Salt Creek. A condition of the approval was that the developer would pay for the widening of Newport Road, as well as work to Goetz Road and the Goetz Road Bridge. That roadwork cost more than $10 million. For now, home construction has only begun on the south side of Newport. 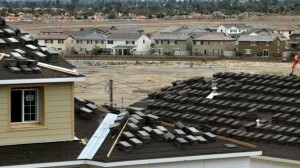 Grading on the north side of Newport, Chapman said. Audie Murphy is one of a number of new developments moving forward in Menifee, Denver said, including Waterford at Heritage Lake and Summerhouse at the Lakes. The $200,000 to $300,000 price range is good news for the city, Denver said.